Thanks for joining me for the third post in my series on “Mastering Content Curation.” We began with defining what content curation is and how it can help local businesses discover content to publish on their websites and social media channels. Last time we were here, we discussed how to identify what types of content businesses should curate. 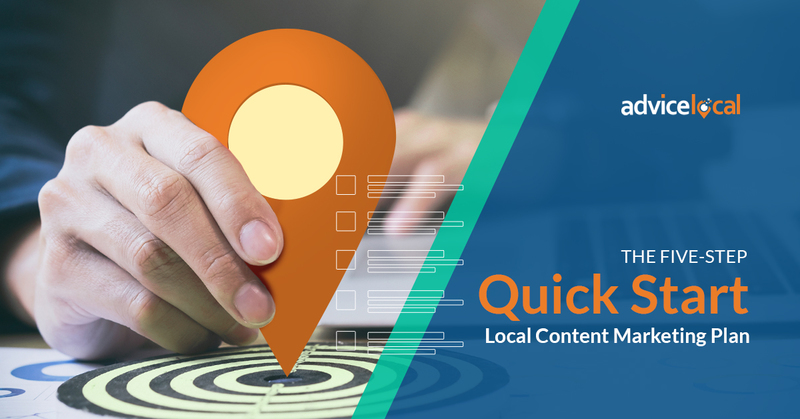 Today we are going to explore methods that local businesses and those representing them can use to find content to curate. 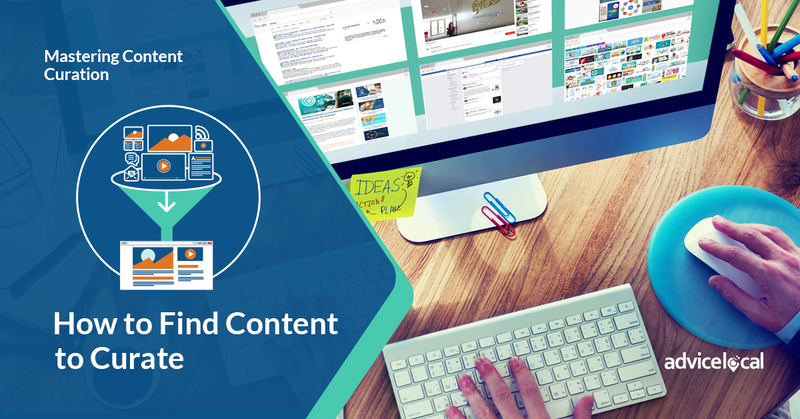 As a refresher and for those just joining us, content curation is when someone would read content created and shared on the web by others, and then share it with their online audience via a blog, their social media channels or even in their newsletter. In order to find content to curate, the business has to search for it. There are several ways to achieve this. Hashtags (#) categorize and group content according to theme, subject or area of interest. Reading the short subject titles and blurbs that are attached to these social media posts can definitely make it easy to quickly see if a topic may be relevant. Don’t automatically assume because of the hashtag that the content piece is relevant to the business’ audience. Anyone can use a hashtag with any piece of content. Since I am a digital marketer by trade, meaningful hashtags for me include #SEO, #socialmedia, #marketing, #SMM (social media marketing) and #advertising. Someone who owns a chain of nail salons might follow content with hashtags such as #beauty, #nails, #manicures and #fashion. Some large content categories will be associated with multiple hashtags, usually linked to a sub-section of the topic. The use of multiple hashtags within a social media update can also help you nail down further if the topic is relevant for your audience. 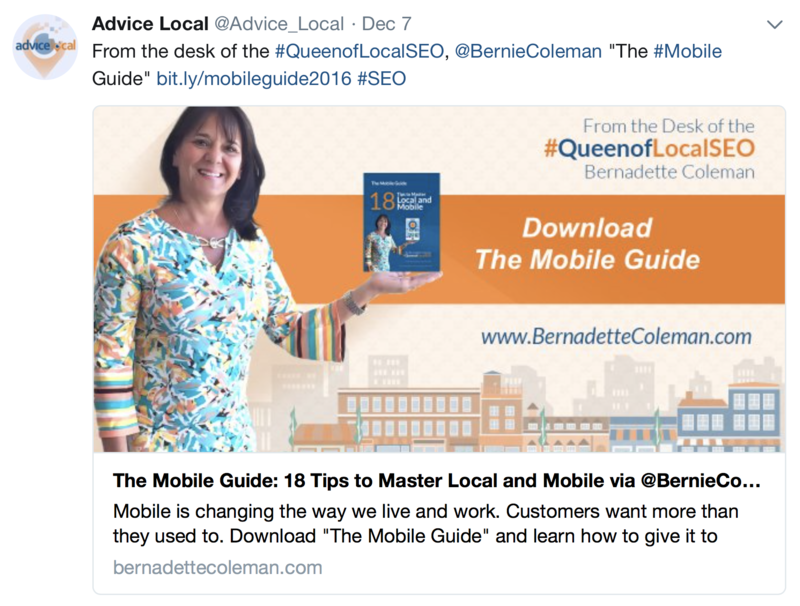 For example, in the tweet above you can see this guide is for those interested in #SEO, specifically #mobile. 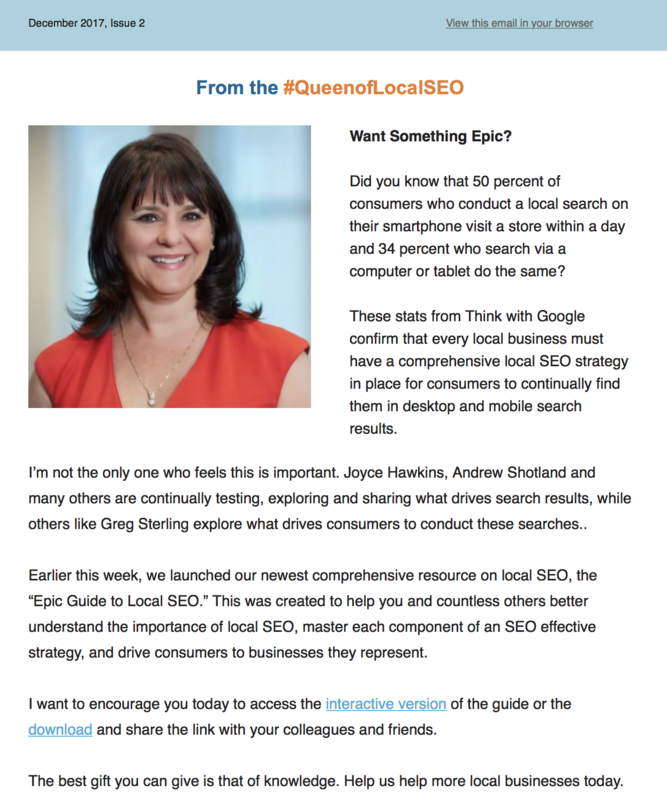 For those who want to follow my writing and thoughts through Advice Local and my social media updates, content I have written is marked with the #QueenofLocalSEO hashtag. So how does the business know which hashtags are the right ones for them? They start with finding hashtags that are relevant to the content they determined would interest their target audience. With all the hashtags to choose from, there are some very good websites and tools that slice and dice hashtag usage, language and effectiveness to help select the right ones. Top-hashtags.com — This site displays the top hashtags currently in use on Instagram. It also displays suggested hashtags for specific topics on Instagram, Twitter, Facebook, Tumblr and Ello. The site makes it easy to find the sub-section of a particular topic and determine popularity. It allows for entering a string of text and converts it into hashtags, which then displays the popularity for each one. Another good feature is that it provides everything back in a format that can easily be copied and pasted with a social media update on Instagram. 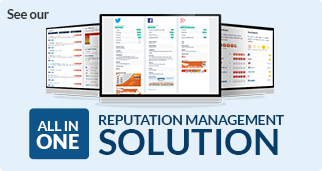 Socialert — With this paid tool, the business can easily analyze and find a given hashtag or keyword on Twitter and attain real-time results. It also has an analytics tool, which provides extensive visual reports that can easily be customized. This can definitely come in handy when running a hashtag campaign. 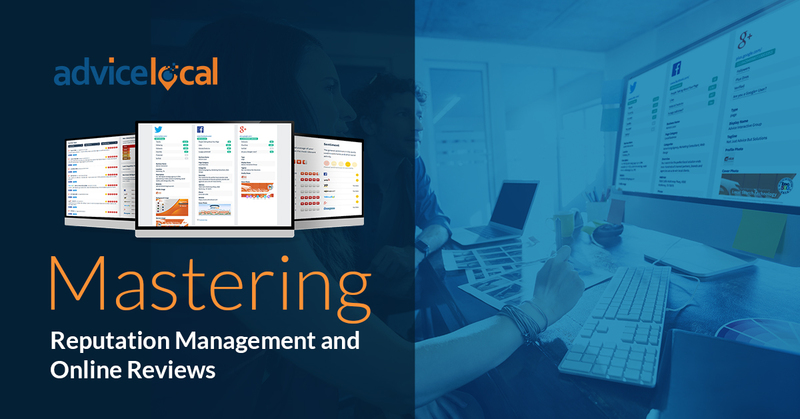 With this comprehensive social listening tool, the business can easily curate and understand the overall reach of their content. Not just for keyword analytics or hashtag tracking, it can readily be used for brand monitoring and event tracking as well. In addition to using a tool to bring the data to the business, hashtags can be searched directly on various social media platforms. Pretty much all of them accommodate hashtag searching. 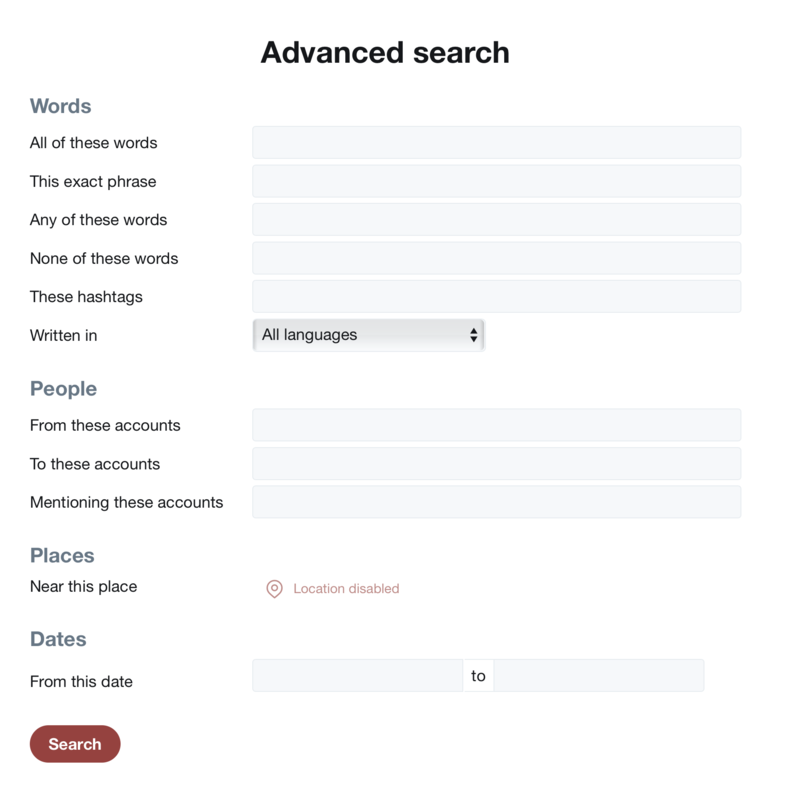 Test out the advanced search feature on Twitter. As shown above, the Twitter advanced search accommodates for way more than just hashtag searches. This format could be helpful for the business. I like to use it to search for a particular blog post title I published and see how many times it has been shared. There are quite a few hashtags tools available, though I have only included a few here. Here’s an article that highlights some other options. 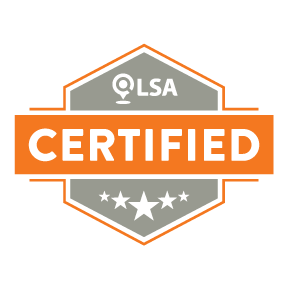 RSS stands for really simple syndication. Basically, what the business owner or representative of the business would do is subscribe via RSS to blogs on others’ websites that are publishing content they would like to potentially curate and share with their audience. On most websites it is easy to find the RSS link to add to a reader. Along with the social media icons, websites will often include the RSS feed icon which, when clicked, will take the user to the RSS feed URL. 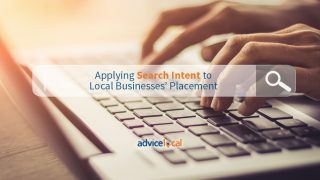 On Advice Local, the RSS feed URL is https://www.advicelocal.com/feed/. On most WordPress websites, it’s the feed URL is usually the website URL with a slash (/) and the word “feed” added to it. 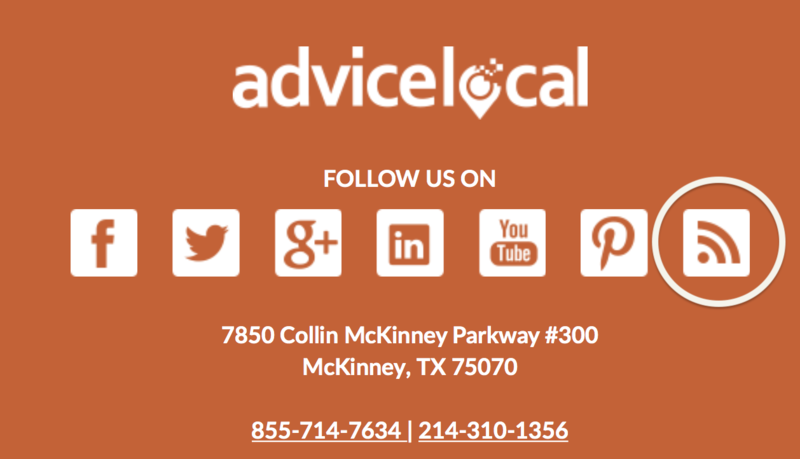 Here’s an example of the RSS feed link for the Advice Local website. This appears in the footer on every page of the site. The user would click on this URL and, depending on the web browser they use, would see the RSS feed. Some web browsers accommodate for subscribing, so new posts are visible when they’re published. In Firefox, it’s categorized under a live bookmark. Here’s a glimpse of what it looks like. 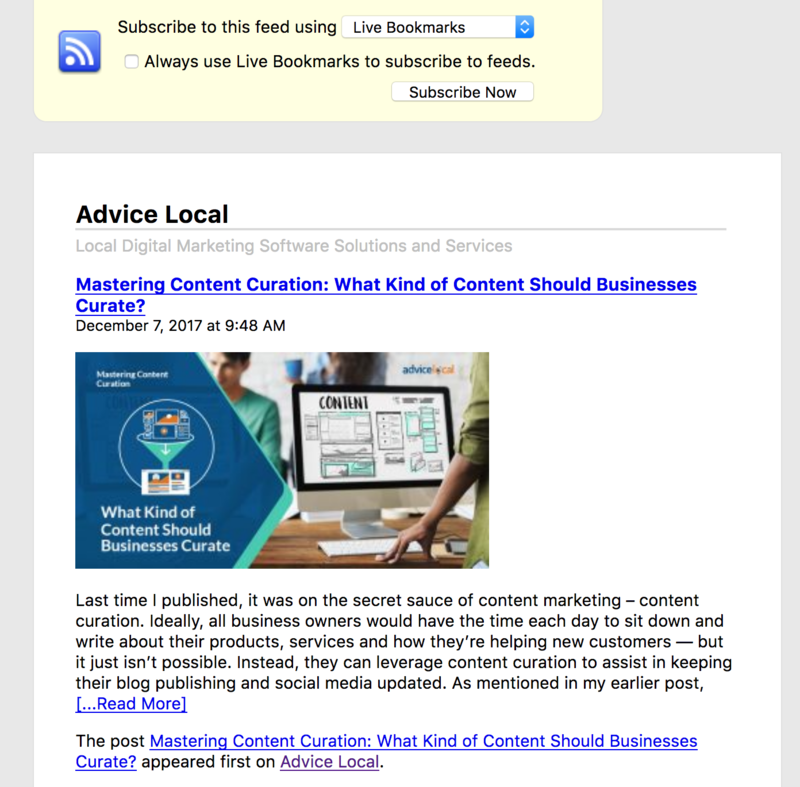 The best way to read content for curation via RSS is by using an RSS reader tool like Feedspot, Feedly or Old Reader to name a few. The user would take the URL provided on the websites and add to their RSS reader tool. Today, most readers will allow the user to search by blog, topic or industry name, so getting the RSS feed URL directly from the website isn’t always necessary. Shown above is an example view of titles for articles recently published on Search Engine Journal subscribed to via RSS using Feedspot as the reader tool. As you can see, it’s easy to comb through the headlines and review content. Feedspot, for example, allows for an expanded view so the user can, in some cases, read the entire article directly through the reader. They never actually have to visit the blog of the website. Subscribing to industry newsletters and newsletters of those that publish information a business’ audience would be interested in is another method to find content to curate. This method can fill email inboxes with lots of clutter, so if the business uses this method, I recommend that they setup email filters so the messages funnel to a dedicated content curation folder. Google Mail accommodates for setting up rules to do this filtering. Most others email readers will also. One advantage to subscribing to others’ email newsletters (especially those that feature content published on sites other than just their own) is they are doing some of the ground work. 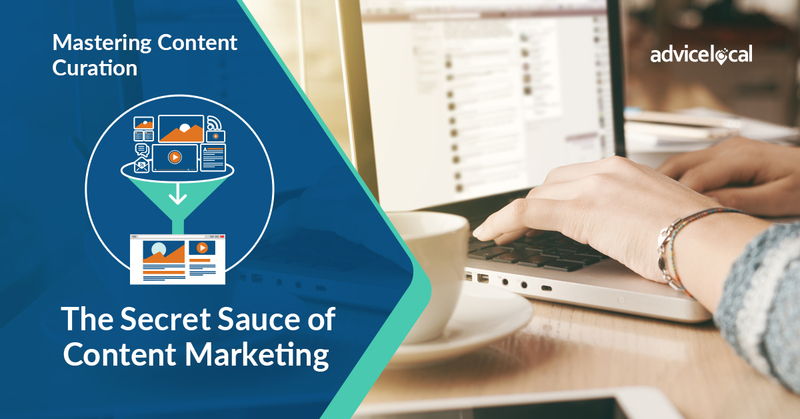 If they are included in an article within their email newsletter, the business can feel comfortable in knowing it’s most likely a quality piece of content to consider including within their curation funnel. Follow industry influencers on social media. Read industry blogs via an RSS reader. A few to check out are Feedspot, Old Reader and Feedly. Subscribe to industry news emails. 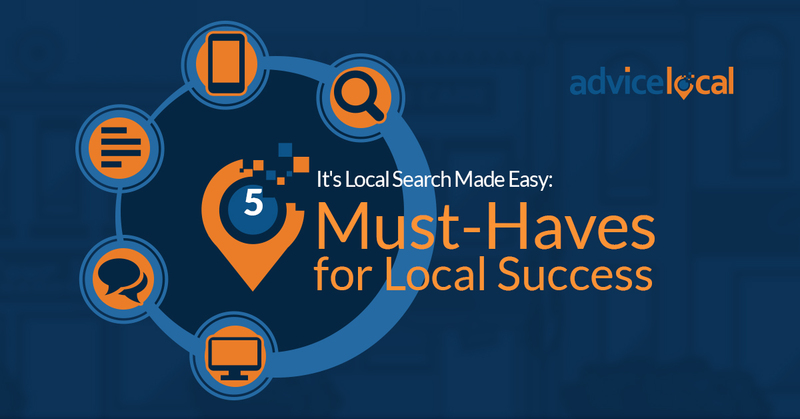 We like Local Search Association, Street Fight and Search Engine Journal to name a few. 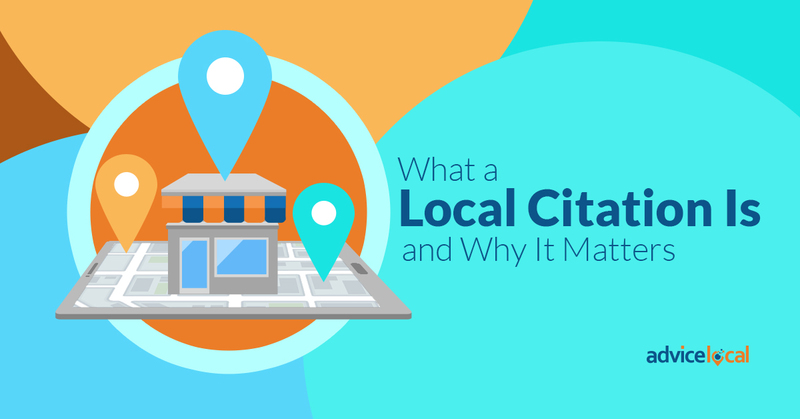 Creating and sharing content is important for all local businesses who want to place higher in search results, keep their customers coming back for more, and find new customers. Stay tuned — next time I’m going to share about content curation platforms. 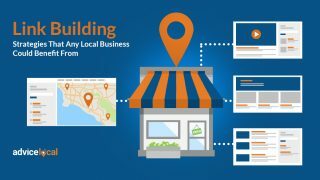 As I’ve mentioned before, content marketing is one of many components that a local business needs to employ to attract prospective customers to their website and brick-and-mortar businesses. 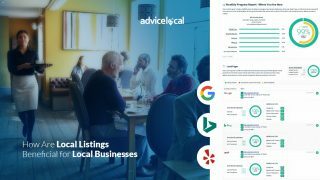 Find out how the Advice Local team can help you today.